PUMA will be providing the match and training kit to Chennaiyin FC’s first team squad and staff during the 2016 ISL. 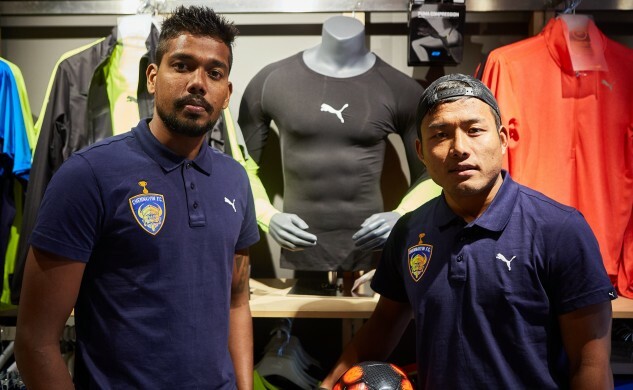 In addition, the German multinational company will also provide a one-year PUMA sponsorship contract to five players from Chennaiyin FC’s grassroots program. PUMA is currently the leading sportswear brand in India and associated with several leading teams and athletes from different sport around the world. Some of the biggest football teams that are associated with PUMA currently are the Italian national football team, Borussia Dortmund and Arsenal. “We are very happy to have PUMA as our official kit partner. This association with one of the world’s leading football brands is another step forward in our growth as a club,” said Chennaiyin FC co-owner Mrs Vita Dani.